Off-white sherwani in jamawar substance. Beautiful decorative accents in front of the border and collar. Complimented with red kurta and shalwar.Made in Pakistan. 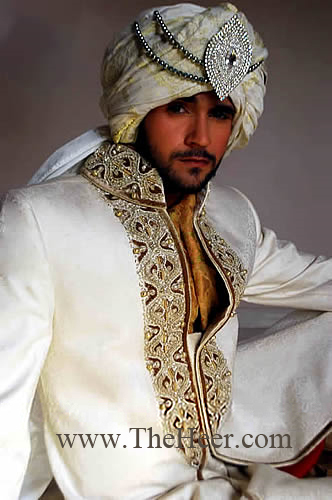 Click the button below to add the SW516 Off White Jamawar Sherwani to your wish list.